Destress & Reboot Retreat is designed for people who have pushed themselves towards exhaustion, and people who need to restore their lives, after receiving health treatments. The retreat helps you to unwind and restore your energy level. It will give you a refreshed start with a clearer mind. You will be more focused and better equipped to make necessary changes in order to prevent yourself from falling into the same pit again. You will be given the tools to manage your personal and professional obligations, without exhausting yourself. Free to flow. Free to grow. Join yoga teacher, Rachel Abrahams, and Creativity Consultant, Leslie Scott for a 5 day reset retreat in beautiful beachy Tulum. Whether you are brainstorming for big new project or just refining future steps for your daily habits, this all inclusive retreat offers a chance to slow down and move forward. 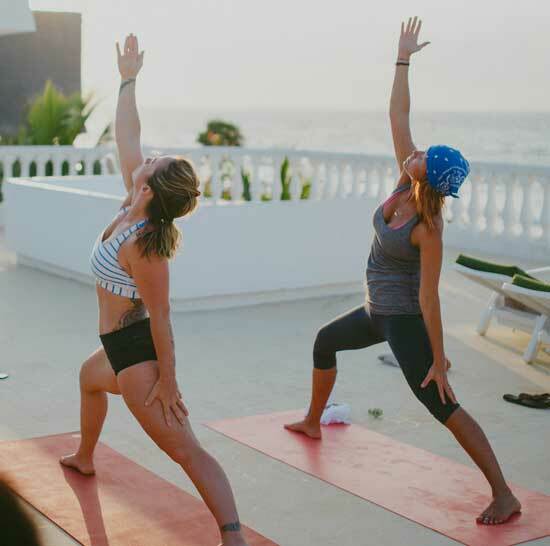 With twice daily yoga classes on a beach-side balcony and creativity and goal setting workshops throughout the stay you’ll leave recharged and ready for your next steps. This retreat is perfect for artists and entrepreneurs alike, using daily movement practice to unlock your creative potential. Travel to the stunning Mediterranean coastline of Puglia, Italy for a yoga retreat and creative photography workshop with professional photographer Monique Pantel and yoga instructor Daniela Manzur and your trip host Janet Willis. This Copal Retreat is limited to 12 people. *Rooms are typically shared with one other guest. Please note beds in Italy may be located close to one another. Airfare to Italy is not included. Executive coaching is designed for executives, managers and directors. It is also offered as an ‘occupation coaching’, for companies, institutions and organizations, where the focus is on improving a specific type of profession. Executive coaching provides you with the resources to execute your job with less effort, and more efficiency and reliability. You will become a mindful leader, manage your staff more easily, making decisions out of security, improve your professionalism, incorporate objectivity to your leadership skills, learning effective way in solving problems, keeping focus under pressure, and practice good communication. Expectations. We all have them, expectations of ourselves, others, the world around us, and how we expect things to be. Come spend a week releasing all of these expectations and responsibilities and find joy in what is. Use the strength, mobility, and flexibility of the body in your firey morning flow to find that same strength, mobility and flexibility off the mat. Use the grounding energy of your cooling evening yin/restorative practice to stay grounded in life when it doesn’t go as planned. Tracy Allen’s down-to-earth style of teaching is infused with humor and a light-hearted approach for all levels, ages, and abilities. 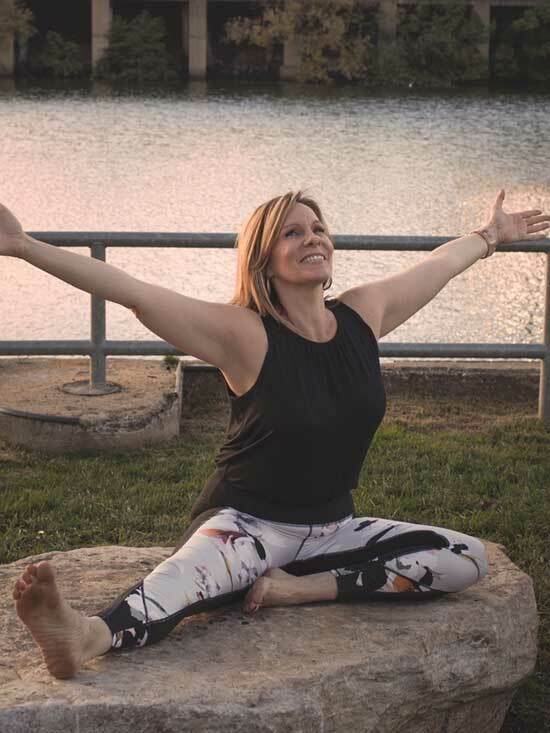 Tracy is a Philadelphia vinyasa/hatha and yin yoga teacher who believes in facilitating a well-rounded, functional practice grounded in mobility, flexibility, and strength in order to translate those qualities off the mat. And a little fun never hurts! You’ll feel totally at home. Janet and her staff make all guests feel like you are spending time with great friends at their beautiful, expansive abode. Come alone and make great new friends or bring your whole gang! All classes are held on the rooftop overlooking the blue ocean waters. Enjoy delicious, authentic meals; complimentary beach massage; newly renovated accommodations; daily included activities and excursions; beach and pool; or opt out when you need to just be.